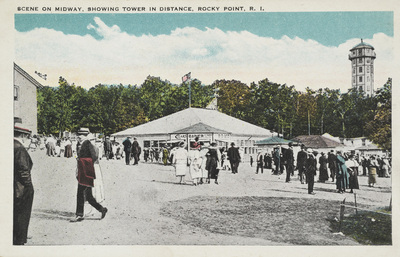 "Scene on Midway, Showing Tower in Distance, Rocky Point, R.I." by G. H. Gennawey, Rocky Point, R.I. Scene on Midway, Showing Tower in Distance, Rocky Point, R.I.
G. H. Gennawey, Rocky Point, R.I.
G. H. Gennawey, Rocky Point, R.I., "Scene on Midway, Showing Tower in Distance, Rocky Point, R.I." (1935). Rhode Island Postcards. 269.